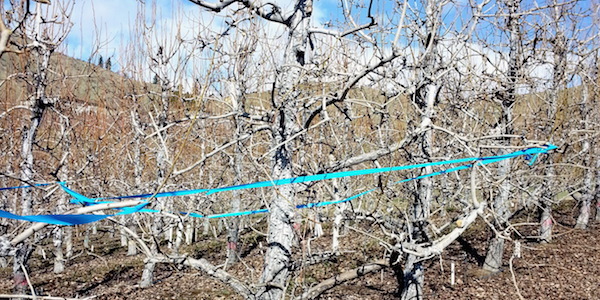 Control vigor through pruning practices in a mature Anjou orchard while maintaining yield and quality, and reduce psylla densities throughout the tree. 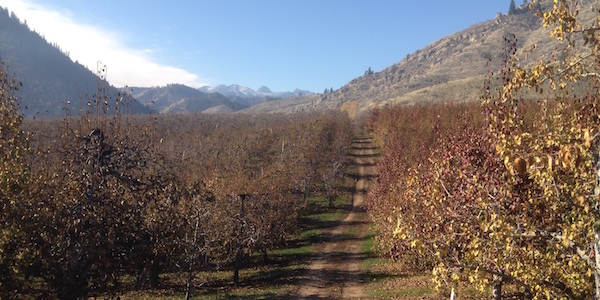 Controlling vigor in Anjou pear trees is an ongoing challenge in Washington pear orchards. The expression of vigor is the sum of many parts: nitrogen fertilization, cultivar, rootstock, and pruning/training systems. Nitrogen is used to promote heavy crop loads of large fruit, which increases per-acre profitability; this makes growers reluctant to decrease their rate of nitrogen. The cultivar Anjou is inherently more vigorous than other cultivars, notably 'Bartlett', which produces a smaller, more manageable tree. 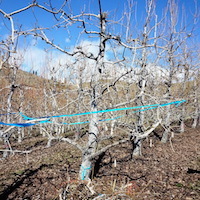 Dwarfing rootstocks, implemented with great success for apples, have proven more difficult with pear trees, the primary problems being winter hardiness and compatibility. Plant growth regulators are also more challenging with pears; paclobutrazol and cycocel have been tested, but never satisfactorily brought into commercial practice. Root pruning is an option that has also been tested, but is difficult to implement in mature orchards, and may lead to fruit size reduction. 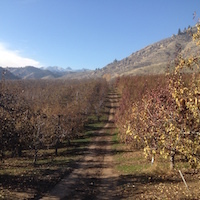 Counterbalancing these factors are several important considerations: larger trees are more labor-intensive to pick, and discourage pickers from working in pear orchards. In addition, larger trees do not lend themselves to mechanization or picking technology. 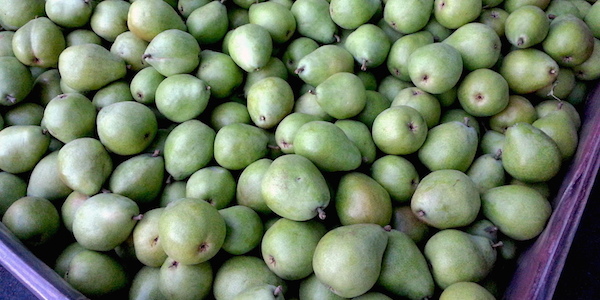 Vigor is also the main driver of higher pear psylla populations, one of the key pests of pear. This phloem-feeding pest thrives on high nitrogen levels, driving up its reproductive capacity. Control programs will always be more stressed when tree vigor is high. In some regions of the state, this pest threatens crop yield and quality annually, despite intensive pesticide control programs. 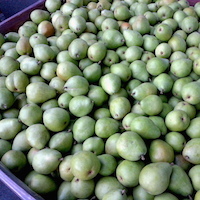 The presence of honeydew at harvest also discourages pickers from working in pear orchards. And ultimately, relying solely on chemical control for pear psylla will not be sustainable, based on past experience of resistance to pesticides. An alternative to the high-input approach to control is one which balances multiple tactics to achieve the best possible horticultural and entomological outcomes. Specifically, we propose to alter pruning management (fall and summer pruning and compare them with the current standard winter pruning) to reduce tree vigor while maintaining yield and quality (including cork spot). These combined practices will decrease the amount of plant material on which psylla thrive, increase light and pesticide spray penetration into the canopy, and reduce overall pruning costs by decreasing vigor. In this project we will focus our experiments especially on pruning and we will analyse how pruning can be used to reduce vigor and increase flower bud formation. We also will analyse the interaction between vigor and psylla presence and vigor and fruit quality.